Healing Liver Cirrhosis: Vitamin D can help Fibrosis in Cirrhosis patients! Vitamin D can help Fibrosis in Cirrhosis patients! For years, I have been a huge fan of Vitamin D, since I found out it practically eliminates back pain. 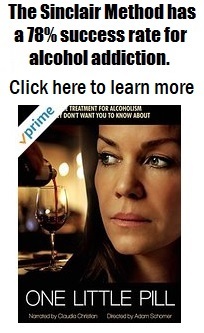 But I never realized it could help treat liver fibrosis, until now. Here is an article I pasted from this site. I am not a doctor and can't diagnose anyone else's condition. However I have heard it is OK to consume up to 10,000 IU of Vitamin D3 per day, and recently, after hearing that very high doses can be considered safe, I started taking about 20,000 IU with no adverse effects. A friend of mine suggested doing this, because she did it (was taking about 50,000 IU per day) and was feeling GREAT, but eventually she did find out that there was too much Vitamin D in her blood, and she had to ease up. She is not stopping the Vitamin D, just taking less of it. Also, her husband was having horrible back pain and almost crying in pain, but then he started on the Vitamin D and felt much better. This also happened to other friends of mine. 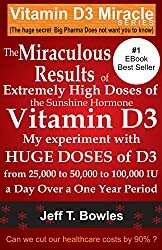 You can read a book about the miraculous effects that can be achieved by taking very high doses of Vitamin D, by CLICKING HERE. I recommend taking 10,000 IU per day and see how you feel; then you can gage if you should start, stop, increase, etc..
"Because there are currently no effective drugs for liver fibrosis, we believe our findings would open a new door for treatment," says senior author Ronald M. Evans, a professor in Salk's Gene Expression Laboratory and lead researcher in the Institute's new Helmsley Center for Genomic Medicine. The Salk study focused on a star-shaped "stellate" cell in the liver that serves as a beacon for damage. When called into action, stellate cells produce fibrotic proteins in an attempt to heal an injury. Under chronic stress, however, localized fibrosis expands, eventually leading to cirrhosis, increased risk of liver cancer, and the need for a liver transplant in advanced cases. The Evans lab discovered a genetic switch through which vitamin D-related ligands such as calcitriol, a hormonally active form of the vitamin, can put the brakes on fibrosis. "Preclinical results suggest the 'vitamin D brake' is highly efficacious and led us to believe that the time is right to consider a trial in the context of chronic liver disease," says Evans, a Howard Hughes Medical Institute Investigator and holder of the March of Dimes Chair in Molecular and Developmental Biology. Previous studies have shown a physiologic role for vitamin D in liver function, but "it was our discovery of high levels of vitamin D receptor (VDR) in the stellate cell that led us to consider it as a possible off switch for liver fibrosis," says lead author Ning Ding, a research associate in the Gene Expression Laboratory. "Current therapeutic approaches, which treat the symptoms of liver disease, don't stop liver fibrosis from progressing," says Michael Downes, a senior staff scientist in the Gene Expression Laboratory and co-corresponding author on the paper. "In liver diseases where the underlying cause cannot be cured, progression to cirrhosis is currently inevitable in some people. What we have discovered is that by acting on the genome, VDR can simultaneously defend against multiple fibrotic activators. This is important because many different pro-fibrotic signaling pathways converge on the genome to affect their fibrotic response." The above story is based on materials provided by Salk Institute for Biological Studies. Note: Materials may be edited for content and length.